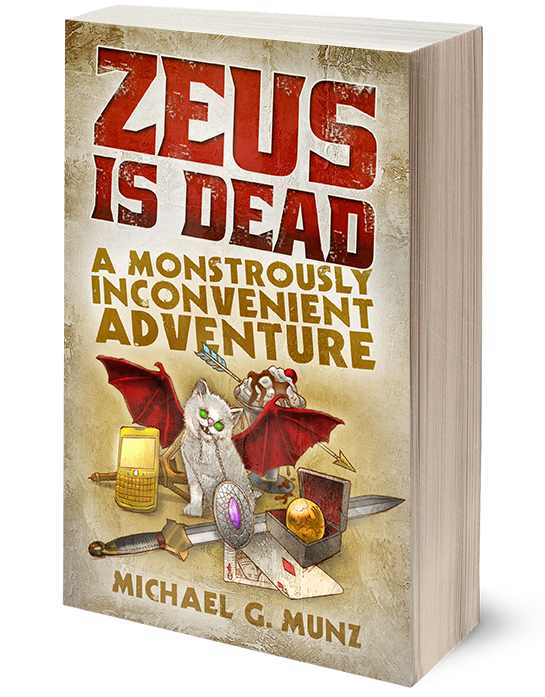 In my novel Zeus Is Dead: A Monstrously Inconvenient Adventure, I tackle the concept of Greek gods returning to the modern world, mining the concept for humor, adventure, satire, and general outrageous goofery. (Yeah, goofery is a word now. *flashes Creative License*) You may think it natural to assume that I have drawn inspiration from Rick Riordan’s Percy Jackson series, or that I’ve at least read it. I’m often a very unnatural person. I’ve never read any of Riordan’s work. In fact, when I was about a quarter of the way through writing the first draft of ZID (this would’ve been, oh, 2009 sometime I think), completely thrilled with my concept, having a blast writing the book, and excited to get it in front of readers, my first encounter with Riordan’s novels occurred in a bookstore while on my way to the restroom during a writing session in their cafe. A display for the first book in the series leaped out at me, waggling its display-bum in my face and thrusting its existence upon me. I also decided to not read Riordan’s series, as I didn’t want to be influenced (consciously or otherwise) by his own vision of Greek mythology. However, now that Zeus Is Dead is published and starting to gain some traction with readers, I don’t want to ignore the work of another author who clearly shares my love of Greek mythology. 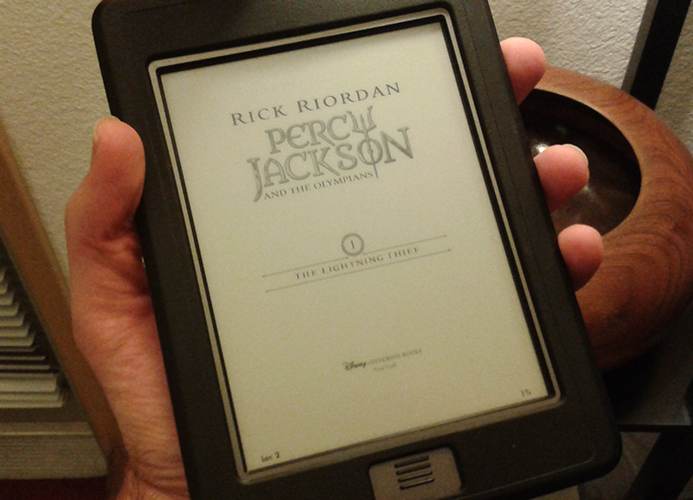 I’m curious to see what Riordan has done. So, having been recently introduced to the concept of online blogs of “ Reads ,” I figured hey, why don’t I take a look at the first book in the series and blog about it as I go? Click here for the entire “Michael Reads” series!